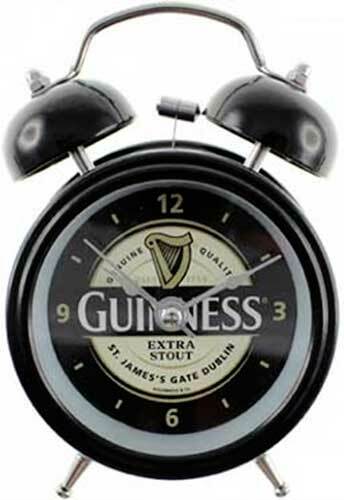 The Guinness alarm clock features twin bells along with a background light. The Guinness alarm clock is made of mostly metal construction and measures 3 1/4" wide x 4 3/4" tall x 2" deep. This Guinness clock requires 1 AA battery; it is gift boxed, complements of The Irish Gift House.